The Financial Advisers at Hughes Financial Services continually strive to add and maintain industry designations that enhance our ongoing professional education and industry standing. Designations in fields such as retirement, investment management or financial planning require varying degrees of training and ongoing continuing education. With two CERTIFIED FINANCIAL PLANNERS™ on staff, Hughes Financial Services is uniquely qualified to help individuals pull all their finances together, solve financial problems, and make a plan to achieve their financial goals. The certification is becoming the industry gold standard, partially because CFPs® are required to adhere to the CFP® Board’s standards of professional conduct, which basically means we must put clients’ interests ahead of our own in all circumstances. Anyone can call themselves a “financial planner” and, many people think that all financial planners are “certified,” but this isn’t true. A CERTIFIED FINANCIAL PLANNER™ or CFP® must meet demanding education, experience and ethical requirements. Individuals certified by the CFP Board have taken the extra step to demonstrate their professionalism by voluntarily submitting to the rigorous CFP® certification process that includes demanding education, examination, experience and ethical requirements. Only those who have fulfilled the certification and renewal requirements of CFP Board can display the CFP® certification marks. When selecting a financial planner, you need to feel confident that the person you choose to help you plan for your future is competent and ethical. The CFP® certification provides that sense of security by allowing only those who meet the following requirements the right to use the CFP® certification marks. Click here for an eye-opening article on finding a financial adviser who is fit for you. Federal benefit programs are very complicated. With a CHARTERED FEDERAL EMPLOYEE BENEFITS CONSULTANT (ChFEBCsm) on staff, Hughes Financial Services is best qualified to work with Federal Employees in financial planning and planning for retirement. The ChFEBCsm mark is a professional designation that represents a specific level of understanding federal employee benefits and demonstrates a commitment to upholding an adherence to the ChFEBCsm Code of Ethics. Only those individuals who have completed extensive training and completed rigorous certification standards to become a Chartered Federal Employee Benefits Consultant are authorized to use the ChFEBCsm certification marks. They are required to stay up-to-date on the ever changing Federal Government Benefits Programs to maintain their extensive knowledge about FERS, CSRS, Special Provisions (LEO, FF, ATC, and CBPO), TSP, FEGLI, and Social Security. Series 7: the Series 7 (also known as the General Securities Representative) license qualifies an individual to solicit, purchase, and/or sell all securities products, including corporate securities, municipal securities, municipal fund securities, options, direct participation programs, investment company products, and variable contracts. Series 9 and 10: the Series 9 and 10 license qualifies an individual to supervise the purchase and sales of general securities and options. Series 24: the Series 24 license entitles the holder to supervise trades involving corporate securities, direct participation programs (DPP's) and investment company / variable contracts. Series 63: the Series 63 license is issued to those who pass the Uniform Securities Agent State Law Examination. The examination covers the principles of state securities regulation reflected in the Uniform Securities Act. Series 65: the Series 65 license qualifies a representative to act as an investment advisor and is held to a higher fiduciary standard of care. The Financial Advisers of Hughes Financial Services, LLC, hold licenses in the following states: CA, DC, FL, MD, NC, OH, SC, VA, and WV. Hughes Financial Services, LLC, is a founding member of the Academy of Preferred Financial Advisors (APFA). HFS advisers and team members attend APFA conferences up to three times a year to receive practice management education and keep current on new and relevant information and changes in tax laws and economic issues that can impact clients. 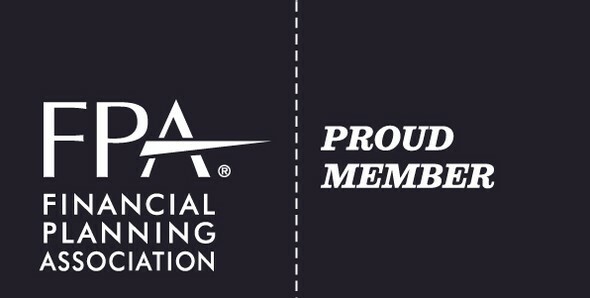 The Academy of Preferred Financial Advisors (APFA) membership is solely an indication that our financial advisers attend training provided by the APFA. Working with an adviser who is a member of APFA cannot guarantee investment success or that financial goals will be achieved. There can be no assurance that working with a member of APFA will produce or achieve better results than working with an adviser not affiliated with APFA. Advisers who participate in the APFA pay a fee to belong to the program. APFA is not affiliated with SagePoint Financial, Inc., and is not sponsored or endorsed by the broker/dealer. The Financial Advisers of Hughes Financial Services are members of the Financial Planning Association National Capital Area chapter. It is the preeminent organization for financial planning professionals in the Washington DC region serving thousands of people in the District of Columbia, suburban Maryland, and northern Virginia. FPA encourages professional development and networking on a local level. Members of FPA are those who commit to the highest standards of professional competence, ethical conduct and clear, complete disclosure to those they serve. They deliver advice using an objective, client-centered, ethical process. FPA can help connect thousands of consumers to competent and ethical planners who uphold the FPA Standard of Care.